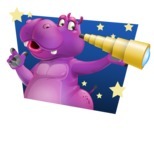 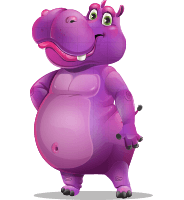 A chubby and welcoming purple hippo cartoon character prepared in a bundle of 112 great hippo poses. 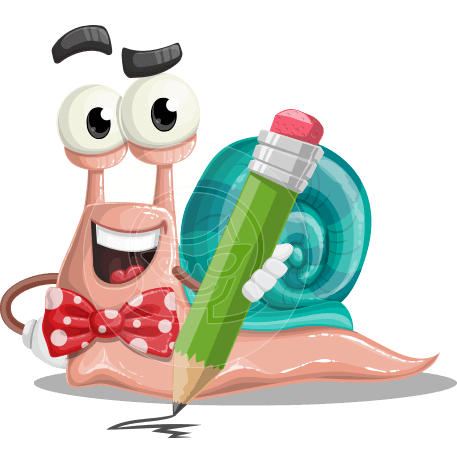 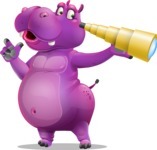 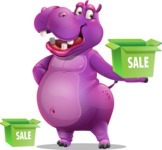 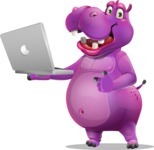 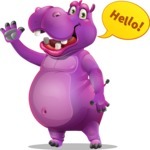 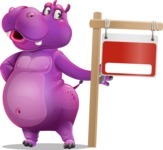 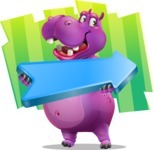 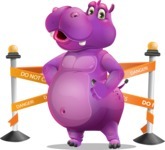 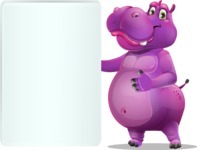 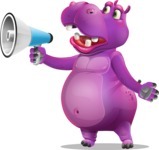 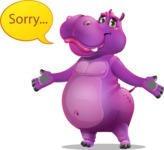 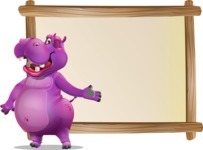 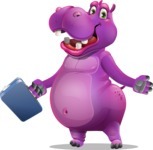 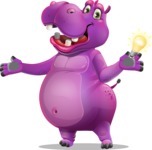 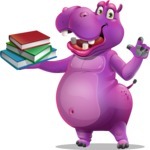 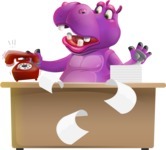 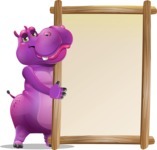 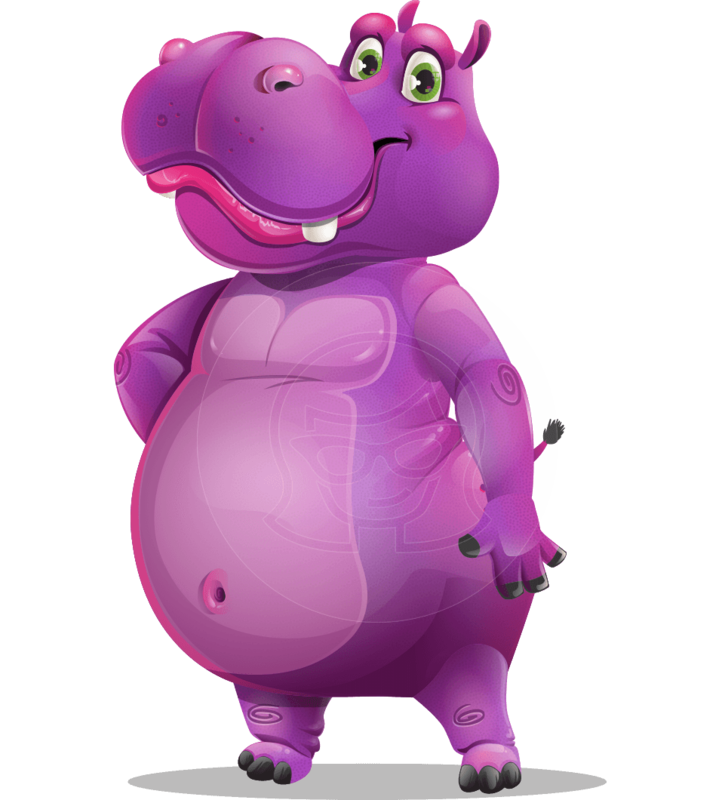 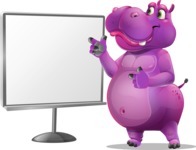 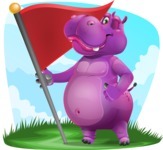 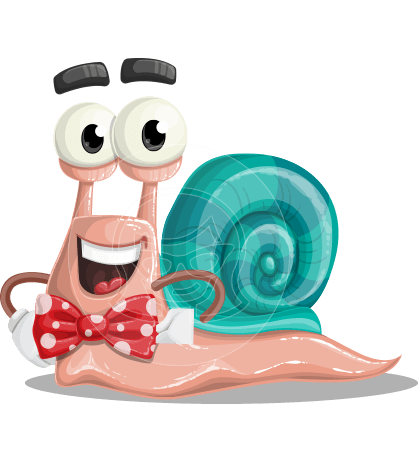 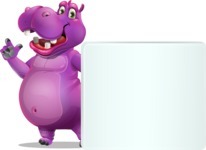 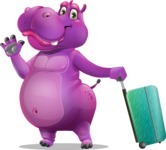 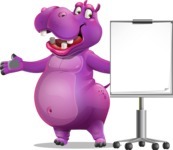 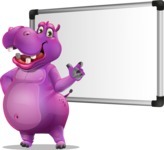 This hippopotamus cartoon character is vector based, so you can easily change his purple color into a color that matches your project and design. 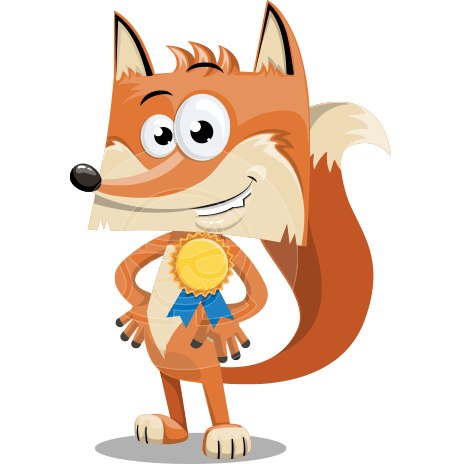 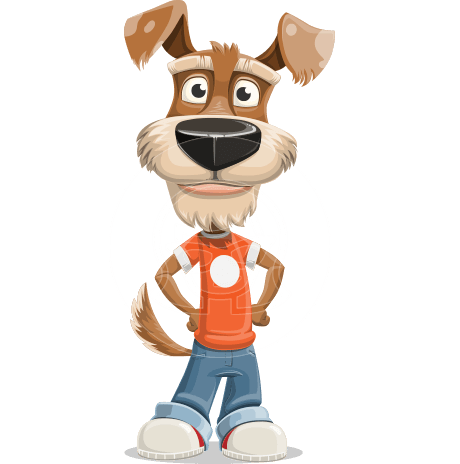 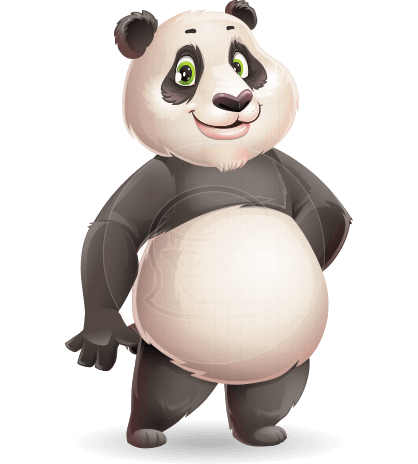 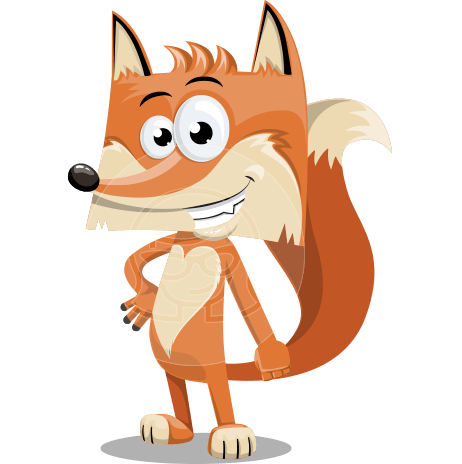 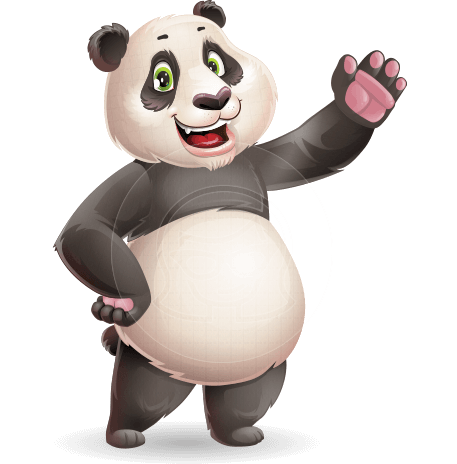 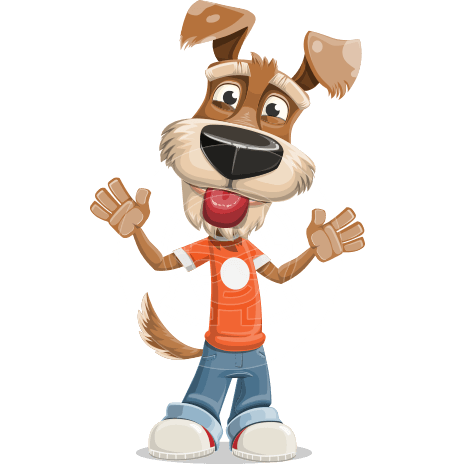 The graphics are available in Ai, Eps, Png, and Pdf file formats.